Specialties include new market and onboarding strategies, execution and alignment of business initiatives with corporate vision, and building high-performance teams. Mary brings to Arizona Growth Advisors more than 25 years’ experience in commercial and private banking. Her leadership has helped Arizona businesses grow and advance, and today she continues to help firms thrive in a competitive marketplace. 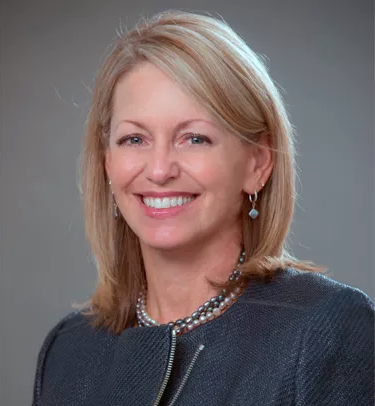 As Senior Vice President of Premier Wealth Management at National Bank of Arizona (NBAZ), Mary led Private Banking, Executive Banking and Wealth Management operations, reporting directly to the Vice Chair. During this time, she founded the Private Bank—overseeing the design, development, and marketing of the line—and ultimately grew business to $200 million in assets. Under her leadership, the organization’s high-performance sales team tripled its results. Mary also led NBAZ’s Family Business Initiative, working with parent company leadership to develop programs, seminars, and customized financial solutions for business owners seeking an exit strategy. Mary supports diversity in the workplace and has extensive experience breaking through barriers to advancement, particularly in the financial services industry. She is a certified Leadership Ambassador for Take the Lead and provides workshops and ongoing advancement solutions for organizations seeking diversity and succession planning. Mary facilitates roundtables that help COOs & Operations Leaders become more effective leaders and achieve their growth goals.